Super happy to announce our magical Auto Tagging API has been integrated into the Blitline image processing platform! Besides smart cropping, now Blitline offers to its customers the ability to add meaning to the images in a fast and convenient manner. Integration is quite easy if you are already familiar with Blitline. You will be surprised how good results are, at least this is what initial users of the service state! It’s Imagga’s machine learning core that does the job, not some mechanical turk guys reviewing and manually annotating your images. So your privacy is kept and you are getting the job done faster than any army of keywording specialists can do. 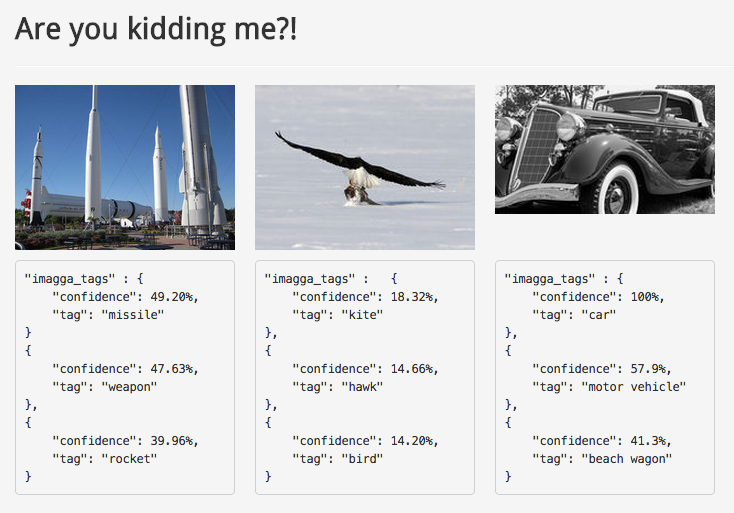 Some of the tags that Imagga’s Auto-tagging API returns are far from perfect, but we are constantly working to improve the algorithms and broaden what we know about the world represented in images. The system is currently trained for the most common types of objects and concepts and we add more constantly. If it’s not working well with your set of images, we can train the system for your specific needs, simply contact us here and we’ll be happy to help. If curious what the Imagga Auto-tagging API can do for you and your untagged photos, give it a try here and share your feedback with us.